“Can I help?” These words from the mouths of babes are music to our ears, knowing that our children want to be with us, mimic what we’re doing in the kitchen, and learn new skills. On the other hand—though we hate to admit it—kids in the kitchen are sometimes more of a hindrance than a help. That’s why it’s great to have a few kitchen projects up your sleeve that are easy and fun for kids to do with little supervision and minimal cleanup (assuming all goes as planned!). When the project is done, your kids can be proud of their creation, and everyone benefits because their handiwork is as delicious as it is easy. 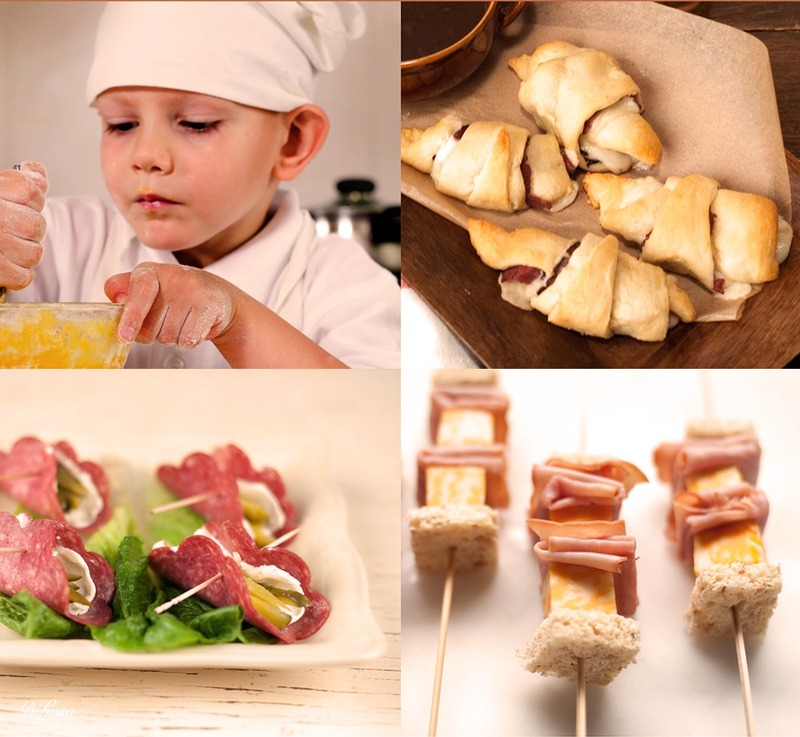 Kids love finger food. It’s fun to make and perfect for little hands. Here are some ideas to try: don’t forget the pint-sized aprons—and use this as a great opportunity to teach these beginner cooks that cleaning up after is part of the project! You’ll need softened, spreadable cream cheese, our Hard Salami, sliced thin, baby dill pickles, sliced thin lengthwise, and toothpicks. Spread about a teaspoon of cream cheese onto a slice of salami (butter knives would work well). 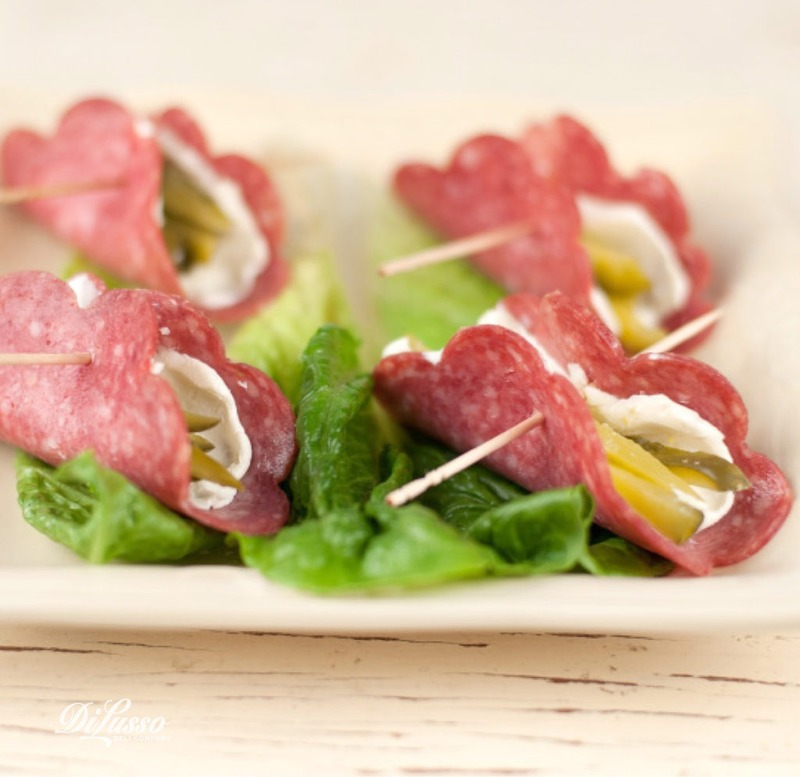 Insert pickle slice and fold salami in half to resemble a taco. Secure with a toothpick. Separate a package of refrigerated crescent dough along the perforations. Top each dough triangle with our Roast Beef slices and slices of our Provolone cheese. Roll up each triangle starting at the wide end. Bake as directed on the package. Let cool, as the cheese will be hot. 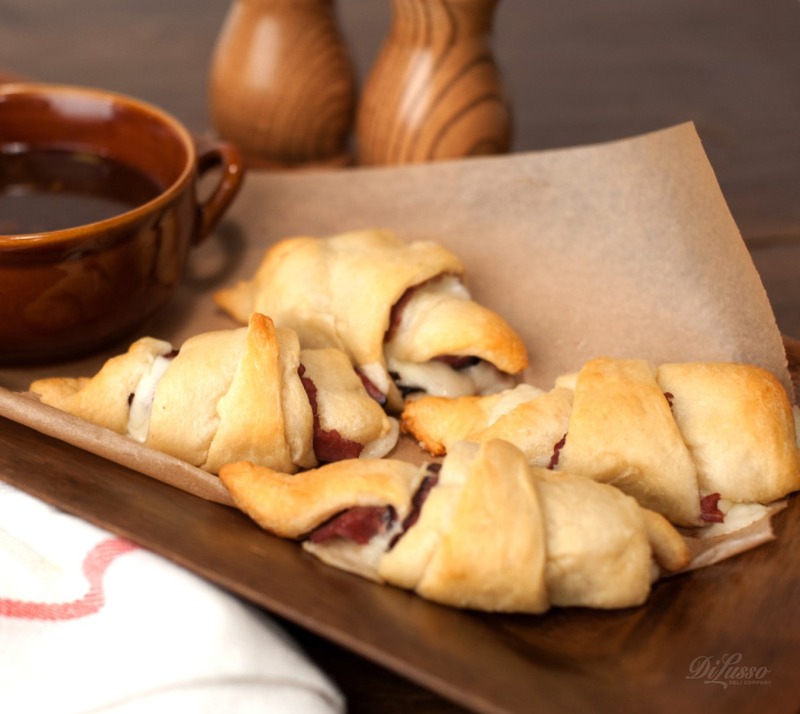 Serve with individual bowls of au jus. VARIATION: Use any combination of meat and cheese you like, such as Ham and Swiss served with our Honey Mustard, or our Pepperoni and Mozzarella with pizza sauce for dipping. To make these kid-size, have an adult carefully cut each triangle of crescent dough into three smaller triangles before rolling up. On halved mini bagels, have kids spread your favorite pizza sauce with the back of a spoon. Have them choose their own toppings from small bowls of pepperoni, salami, ham, mozzarella cheese, cooked Italian sausage, green peppers, or whatever your kids like. Bake until cheese melts. 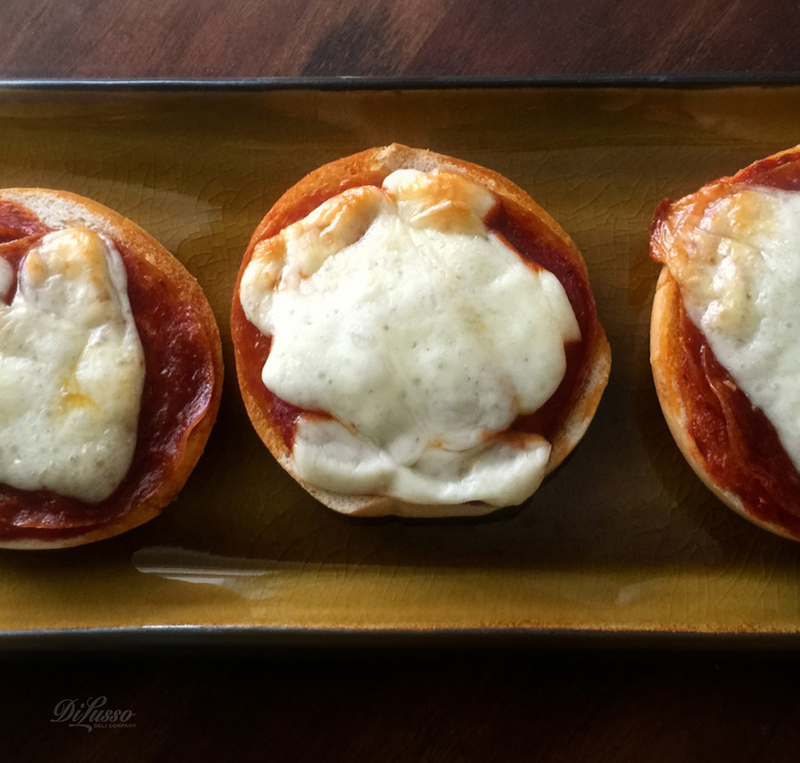 VARIATION: Use mini pita bread rounds for pizza "crust". 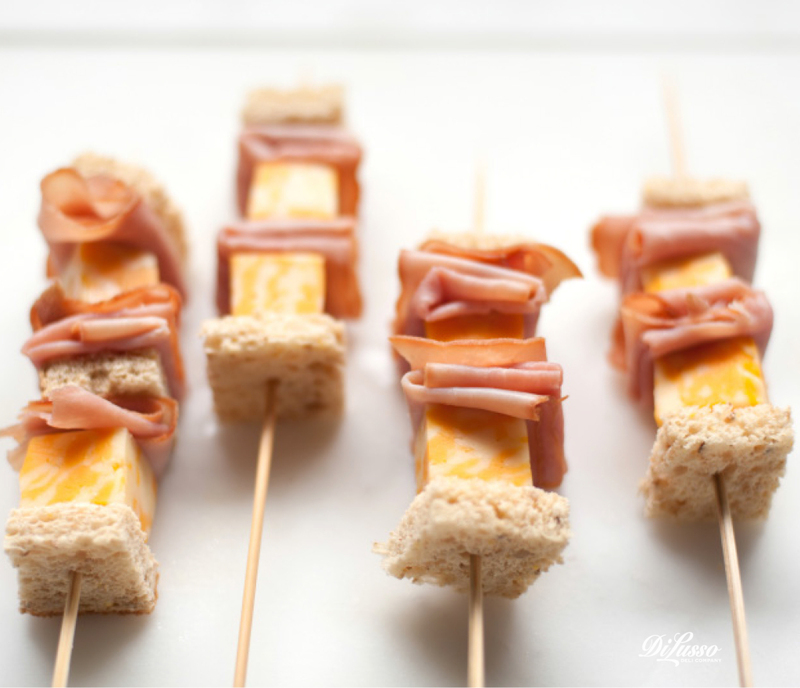 Thread cubes of sandwich bread, cheese of your choice, and ham slices, halved and folded, onto wooden skewers. If the kids like mayo and mustard let them dip.